Skorpios has a sting in its tale! 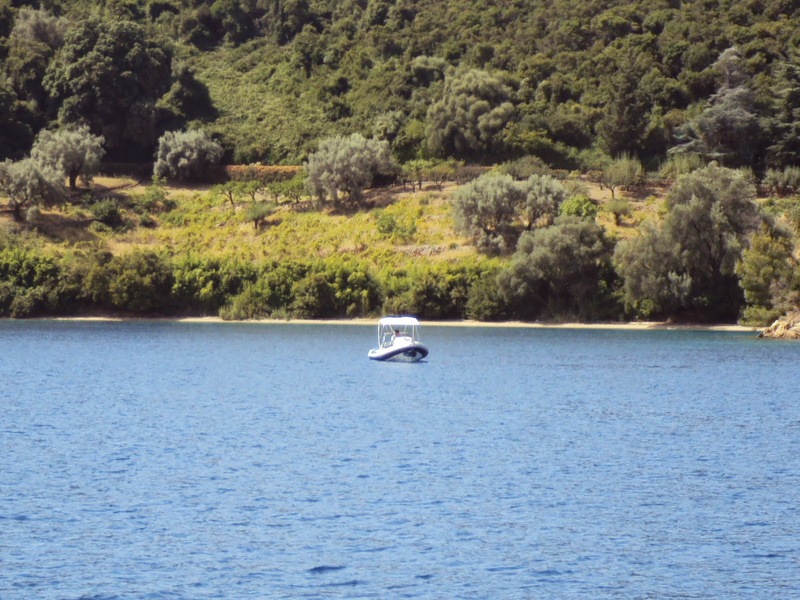 The island of Skorpios lies off the coast of Lefkada in the Ionian Sea. A serene, green oasis surrounded by the bluest of waters, the island was recently purchased by a Russian billionaire and was once the holiday home of Greek shipping tycoon Aristotle Onassis. It appears to be a little bit of heaven on earth but its story is not one of Elysian bliss and it hasn’t brought lasting happiness to anyone yet……. Great wealth, as we all know, is no guarantee of contentment and Skorpios has seen its share of struggle, grief, loss and heartbreak. ‘Ari’ Onassis bought the island for around $10,000 in 1962. In those days it wasn’t the manicured retreat we see today complete with helicopter pad, sandy beaches, grassy lawns and several houses. 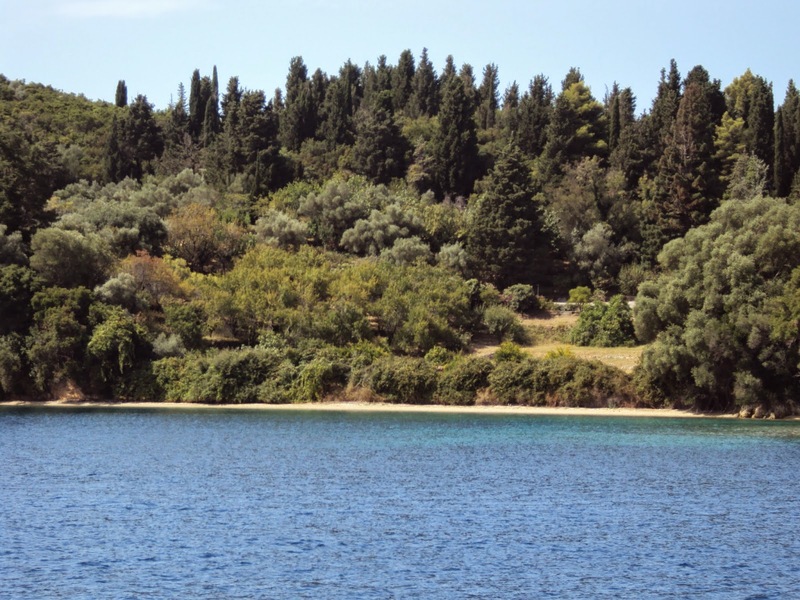 Then, the island was nearly barren and Onassis forested it by importing nearly 200 varieties of trees. There was no natural water supply so he had to buy a small neighbouring islet to provide Skorpios with water. Reportedly, he also had to ship sand in from Salamis island near Athens to create enough beaches to give easy access to the sea. The island was Jackie’s favourite place. She often spoke of how much she loved the colour of the Ionian Sea and the fragrant flowers that grew everywhere. It became a sanctuary where she could fully relax and not worry about who might be watching her. Even so, Jackie and Aristo, as she called him, never really lived under the same roof for any length of time and their marriage was allegedly a turbulent one. Both Onassis’ son and daughter died tragically young and never really spent much time on Skorpios. They are currently buried there, though, alongside their father in the family mausoleum. Following Onassis’ death, the island passed to his daughter, Christina, and after her early demise it was bequethed to her daughter Athina Roussel. Athina grew up out of Greece and has shown little interest in her mother and grandfather’s country. Recently, she sold Skorpios to Ekaterina Rybolovleva, daughter of Russian billionaire Dmitry Rybolovlev. This would not have sat at all well with Onassis, who stipulated in his will that the island should remain in the family as long as they could afford to cover its maintenance expenses. 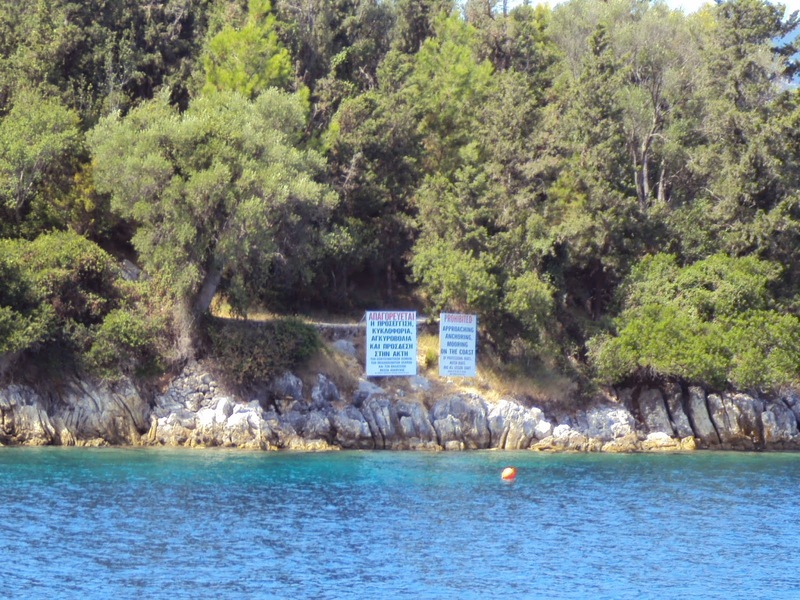 According to the will, if his descendants could not cover the upkeep costs, the island should be donated either to Olympic Airways or to the Greek state. It is currently not a friendly place to visit as patrol boats circle the island twenty four hours a day warning visitors to keep their distance. To underscore this point, signs are posted on the shoreline at very regular intervals. It’s hard not to wonder if the Rybolovlev family will have better luck with their island than the Onassis family. 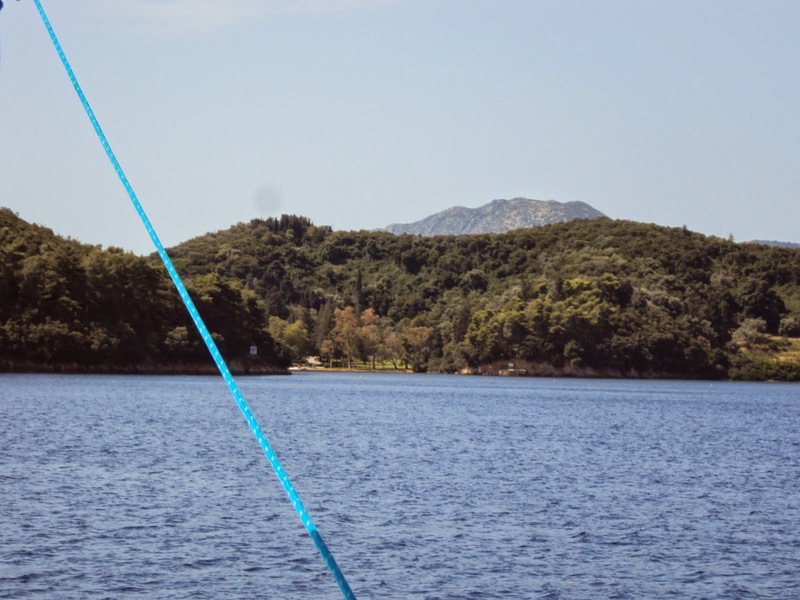 Certainly, the legality of its sale has been debated in the Greek parliament and there could be serious repercussions if the sale is pronounced illegal in the future. 24 year old Rybolovleva is said to have paid around £100 million to obtain a one hundred year lease of the island. How much time she actually spends there remains to be seen. 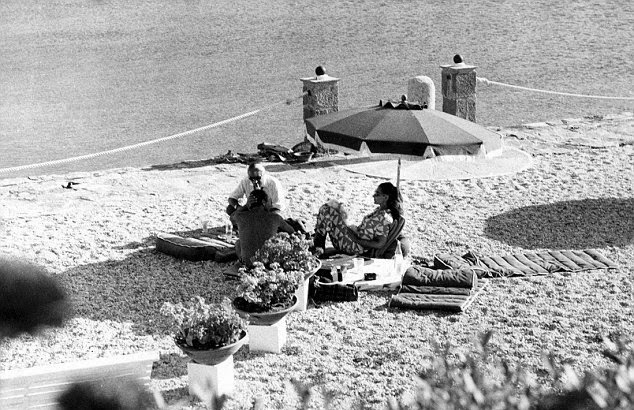 Certainly, during his lifetime, Onassis visited as much as he could and he still casts a long shadow on this island idyll. Much of the interest that this tiny piece of Greece generates is due to the myth surrounding his legacy. 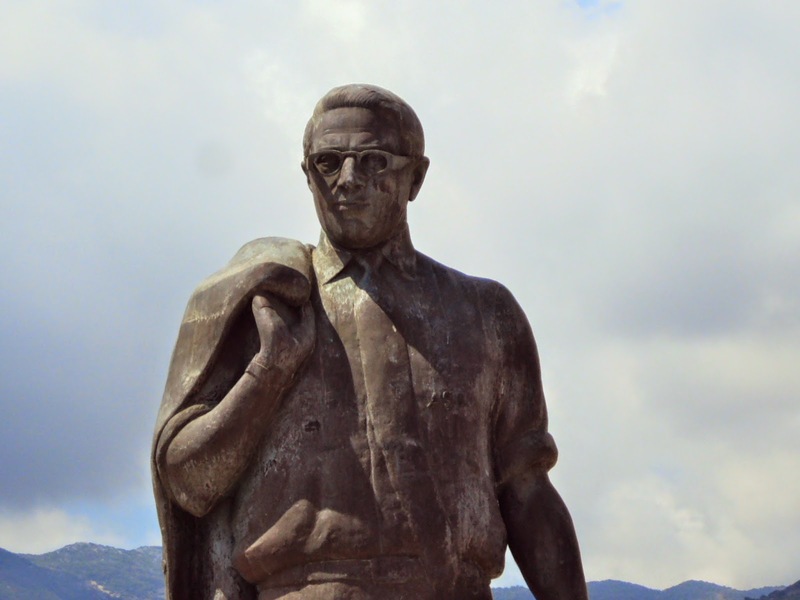 It seems fitting, then, that a statue of ‘Greece’s Last Tycoon’ stands in the town of Nidri on the island of Lefkada, forever staring out across the bay at the place that brought him both immense joy and sadness. 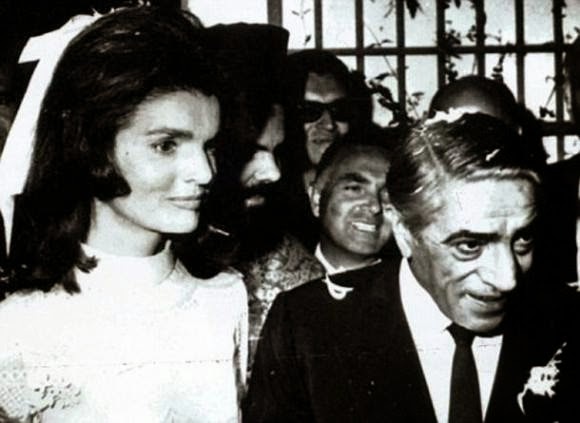 Perhaps the bad luck that dogged the Onassis family will not shadow the Rybolovlevs. But there is already evidence that Skorpios has not lost its sting and its tempestuous history could continue on. 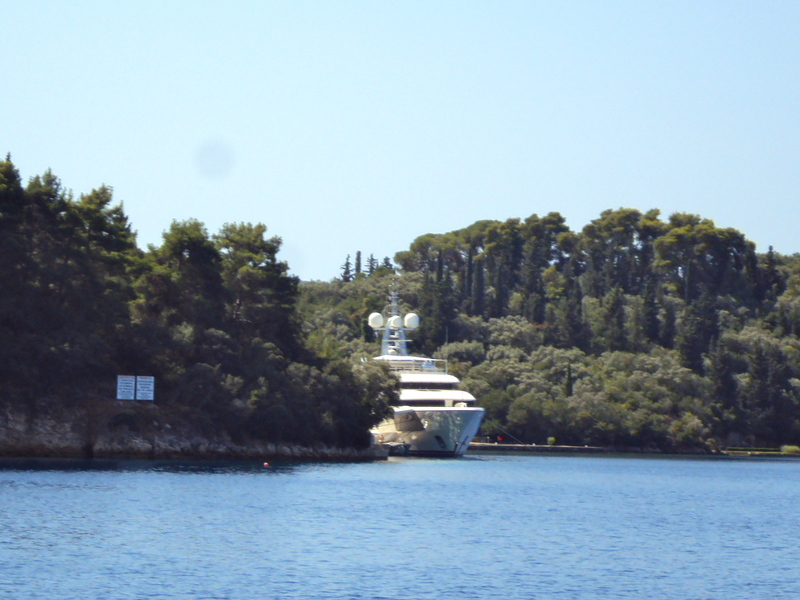 Apart from questions tabled by the Greek state over the legality of sale, Rybolovleva’s ownership of the island was also challenged in 2014 by her mother, Elena, as part of an ongoing divorce case involving her parents. Next Meet the Duchess of Plaisance!